Looking for a Cleveland Heights restaurant cleaning service? If you own a restaurant in Cleveland Heights, Ohio, professional restaurant cleaning is essential to impress your guests and keep them coming back. JayKay Janitorial & Cleaning Services LLC has provided unparalleled restaurant cleaning in Cleveland Heights, since 2008. From fast food chains to fine dining establishments, JayKay Janitorial & Cleaning Services LLC will make sure your Cleveland Heights restaurant clean and sanitary. Make a great first, second and lasting impression with a clean, inviting restaurant that lets your staff and your customers know you care about them. Call (216) 505-1610 for a free quote. Whether your Cleveland Heights restaurant serves breakfast or dinner, having a clean dining area is critical. For superior restaurant cleaning services, call Cleveland Heights's commercial cleaning experts: (216) 505-1610. JayKay Janitorial & Cleaning Services LLC provides professional cleaning for all areas of your Cleveland Heights restaurant. Our Cleveland Heights restaurant cleaning crew makes sure all high touch surfaces are properly disinfected, to prevent cross contamination and the spread of germs. JayKay Janitorial & Cleaning Services LLC has been in the restaurant cleaning business in Cleveland Heights for more than 11 years. Call (216) 505-1610 to discuss your restaurant cleaning needs with one of our Cleveland Heights commercial cleaning specialists. Kitchen cleaning for your Cleveland Heights restaurant. The kitchen is the heart of your business. JayKay Janitorial & Cleaning Services LLC provides expert commercial cleaning expertise for every area of your kitchen. 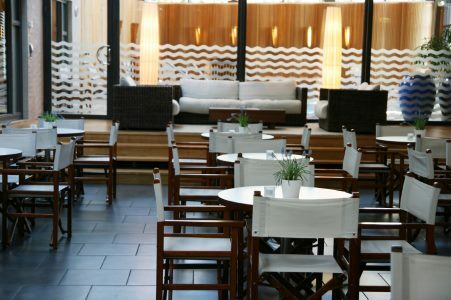 We have more than 11 years of experience cleaning restaurants in Cleveland Heights, Ohio. JayKay Janitorial & Cleaning Services LLC power washes your kitchen floor and disinfects your floor and all other surfaces in your kitchen so you're ready for business the next day. For quality restaurant cleaning services in Cleveland Heights, call the professionals at JayKay Janitorial & Cleaning Services LLC: (216) 505-1610.